Millions of species of animals live in the sea but a few are really unique. One of these amazing creatures is Puffer fish which has distinctive features fascinating many. This is in spite of the fact that it is the second deadliest animal due to its possessing poisonous characteristic. This extraordinary characteristic, however, does not deter human being from studying, adoring, show-casing in the drawing rooms and even eating Puffer fishes. Stay with me to know more about characteristics and species of Puffer fish. 1. 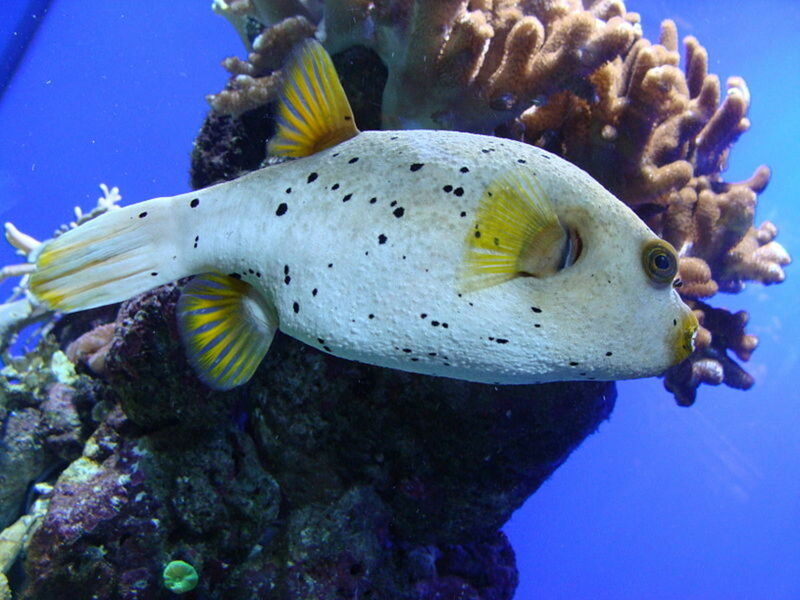 Puffer fish is also known as 'Balloonfish' or 'Blowfish'. Basically, this is because of its capacity to fill its highly elastic stomach with large amount of water or even air to give it a shape of a balloon or ball which helps to deter predators to swallow it. 2. 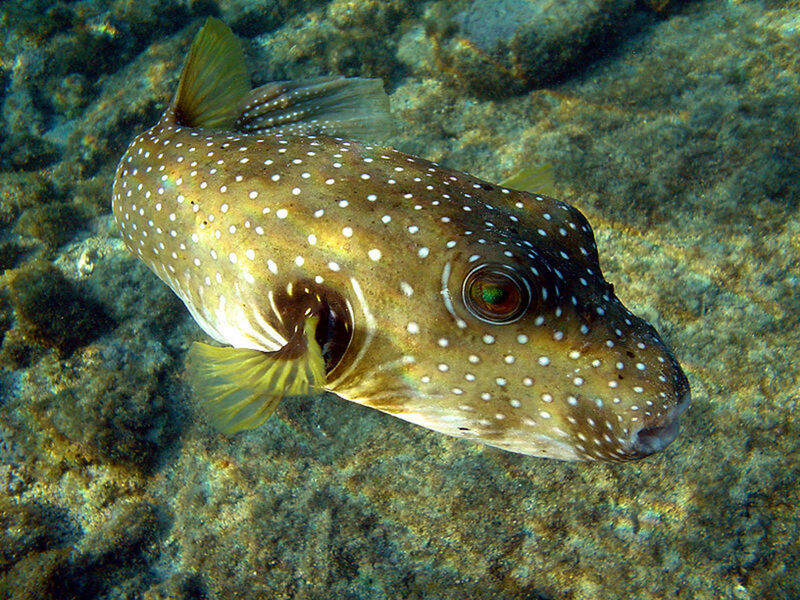 Puffer fish is a slow swimmer and cannot compete with others/predators, it uses its puffing action as a defense mechanism. 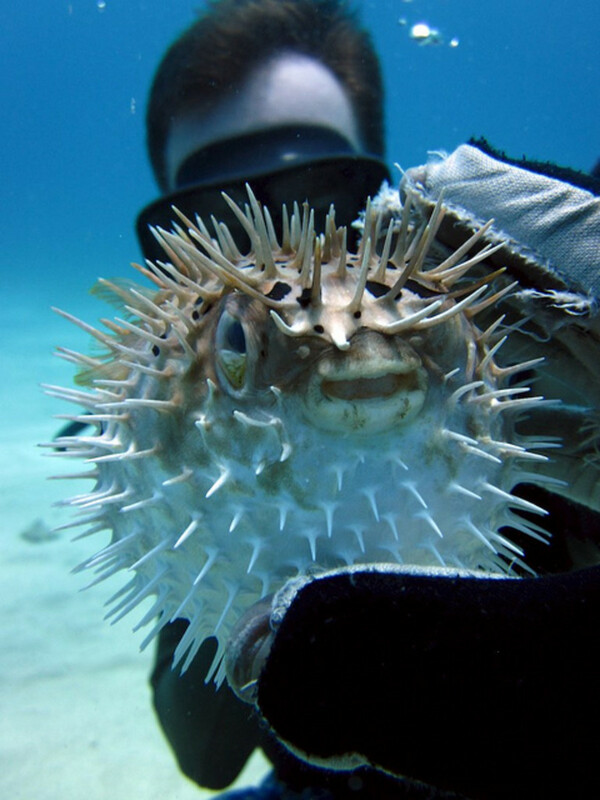 Some species have sharp spines which also help Puffer fish to defend itself as these are toxic to other animals and humans. 3. Puffers are the second most poisonous after Golden Poison Frog and so far there is no antidote available. The toxin (tetrodotoxin) of one puffer fish can kill 30 adult human beings as it is known to be 1200 times lethal than cyanide. 4. In the event of a predator succeeding in consuming a puffer fish it may perish because of the poison. The only exception is Shark fish which is not harmed by its consumption. 5. Worldwide there are more than 120 species of puffer fish and the sizes of puffer varie from 3 inches to about 3 feet. 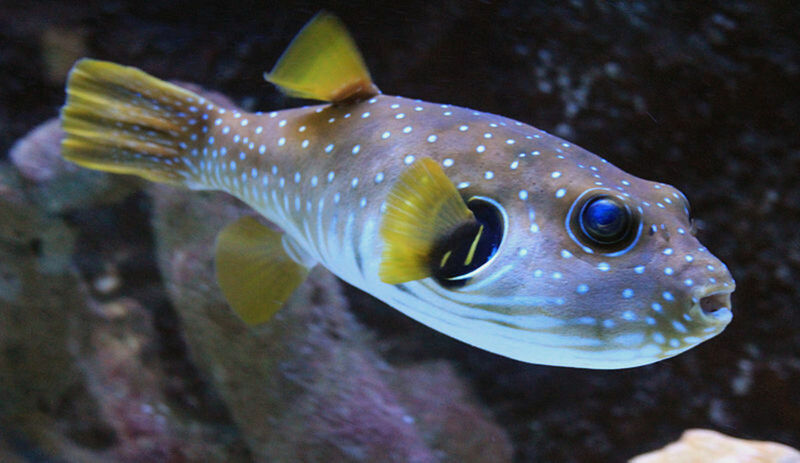 Keeping an adult Puffer in captivity is fraught with difficulties because of requirement of size of the aquarium (800 to 1000 or more capacity), quantity of water and its management. Even a 4 inches Puffer grows very quickly and its dietary needs also change accordingly. Puffer would love to have crunchy food like mussels, crabs and smaller fish. It has a unique pattern of skin which resembles Belousov- Zhabotinsky pattern, a typical of chemical reaction shown below. 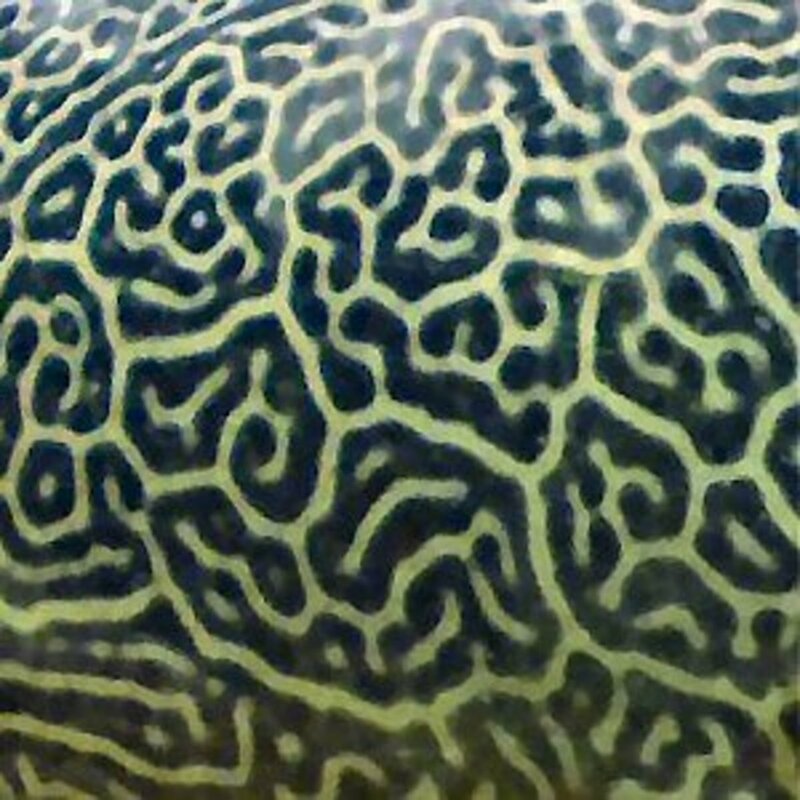 Resemblance of skin pattern with Belousov-Zhabotinsky reaction pattern. 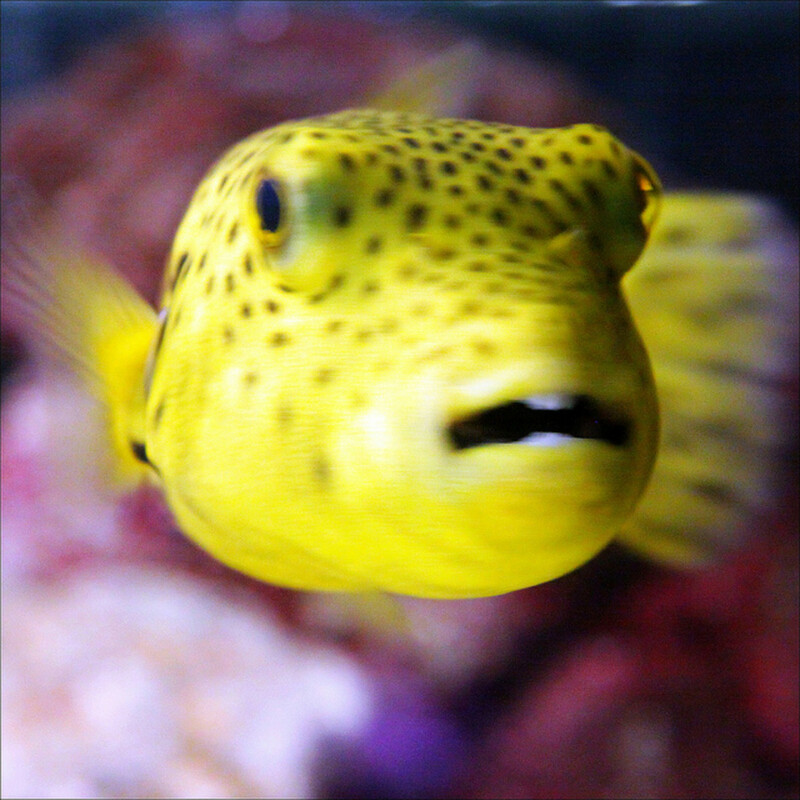 Puffer fishes have very powerful jaw muscles and their teeth are fused together making a beak-like structure. 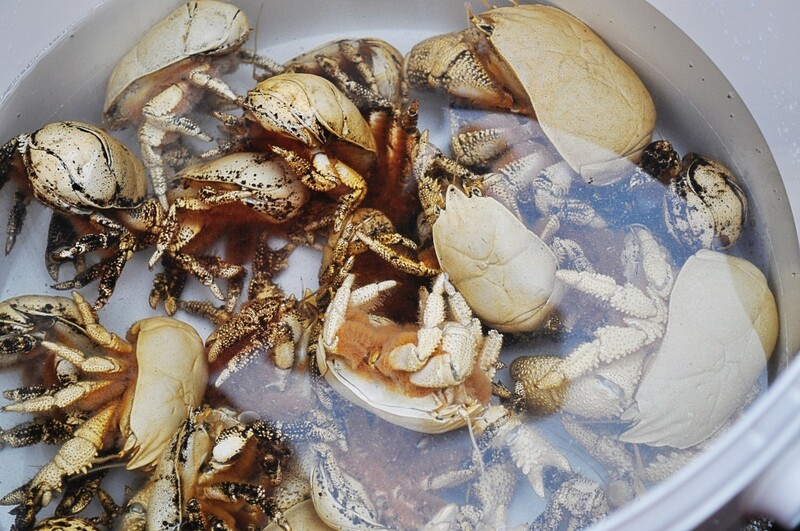 Mollusks and crustaceans are the natural food sources for these four-teethed fishes and the power of teeth can crack open crabs and crush snails. Watching them in action is a pleasure. Keeping them in captivity without their natural food would necessitate cutting their teeth periodically. Have your ever seen a Puffer fish in aquarium? Sometimes the Puffer fish gets stressed or excited. It results into puffing action. Then it slowly releases that stress to come to its real shape. See the action. A relatively sluggish swimmer has been bestowed with self defending instinctive action by nature. 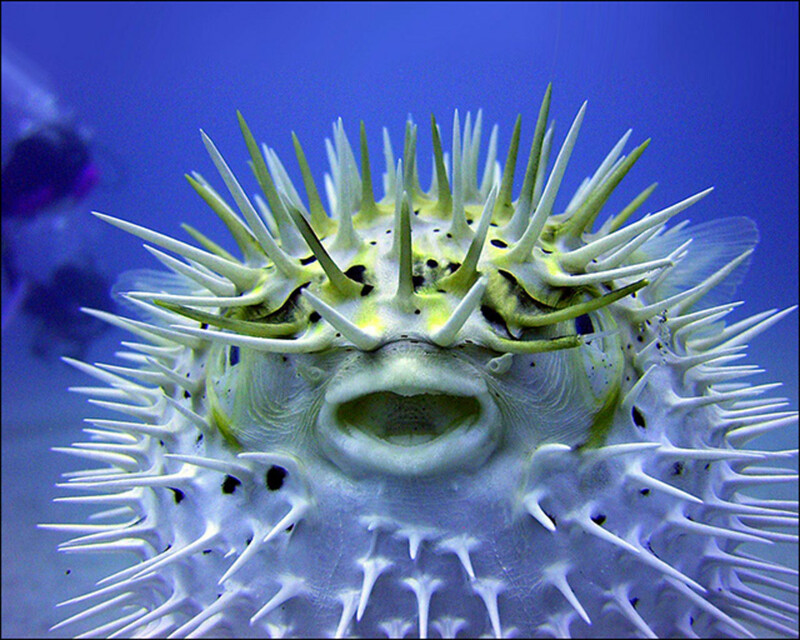 One cannot imagine that a Puffer can go unscathed after offensive of a predator. Watch this defending act of a Puffer. This species of Puffer fish is quite colourful with spots and bars on its body and perhaps the most beautiful of this species. 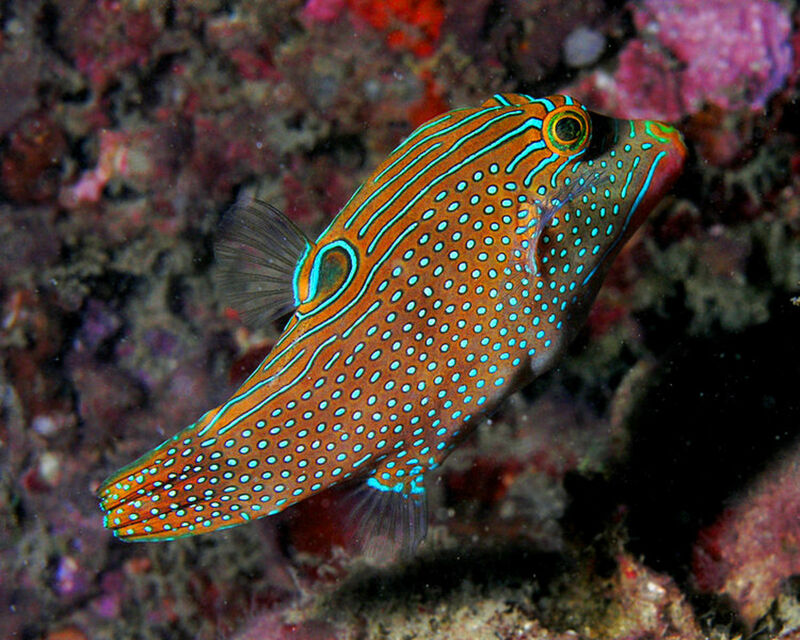 Also known as solander's toby, or blue-spotted toby, this species is often called False-eye because of a black spot at the base of the dorsal fin, which can be helpful in dodging the predator. It also keeps itself protected from parasites and infection by secreting mucus or slime from its skin. It is relatively peaceful and can be kept even in 30 gallon onward aquarium in view of the size (12 cms, as adult) it acquires. Dog-faced Puffer has got its name because it has a round shaped head, expressive eyes and projecting nose. It is also called Black- spotted Puffer and it could be of different colours like bluish or even bi-colour, with maximum length up to 33 cms. It does not have scales on the skin. The one with yellow colour is quite popular. 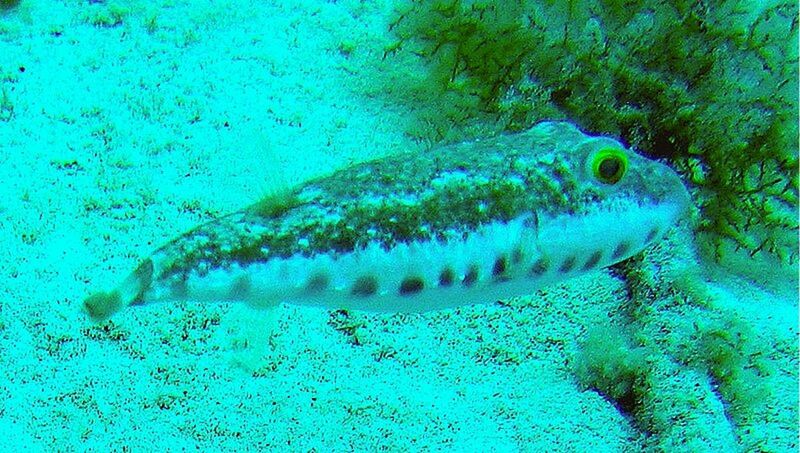 They can be found in reefs of Western Pacific Ocean and Indian Ocean but not in the Red Sea and mainly eat live corals. 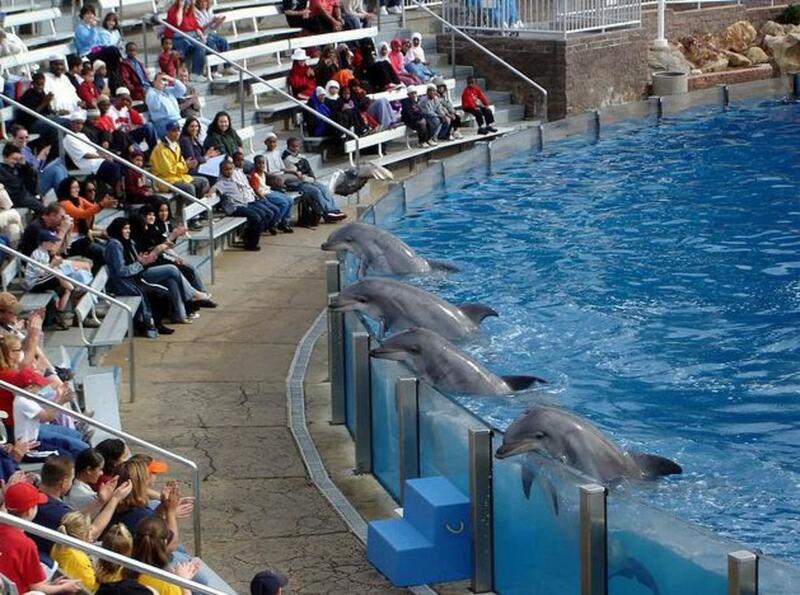 Why Do Some People Think Dolphins are Smarter than Humans? ProjectResolute, thanks for stopping by. Nature has bestowed creatures on this earth with defense mechanisms for their survival. It is really amazing to see a puffer fish in action. Have a nice weekend. Very interesting hub! I didn't know puffer fish are poisonous... and the video above was an awesome demonstration on how these fish behave when their life is in danger. Good job! Diana Grant, It is quite interesting. I need to update myself on this discovery. Thanks for sharing this information. Have a nice time! In December 2013 I saw a TV programme from a reliable source where they said that scientists have recently discovered that dolphins congregate round puffer fish and extract some of their poison which then, instead of killing them, leaves them floating around in a happy hallucinogenic state. I can't remember the programme, but I think it might have been about discoveries coming to light by the development of under-water robotic cameras which film places where cameramen don't go. rdsparrowriter, Thanks for visiting, liking and voting it up. punacoast, thanks for visiting the Hub. Puffer fish is really very cute. I am glad you mentioned your personal experience about Puffer while snokeling. It must be really thrilling. Have a nice day! Great informative article! We have a variety of puffer fish here in Hawaii. 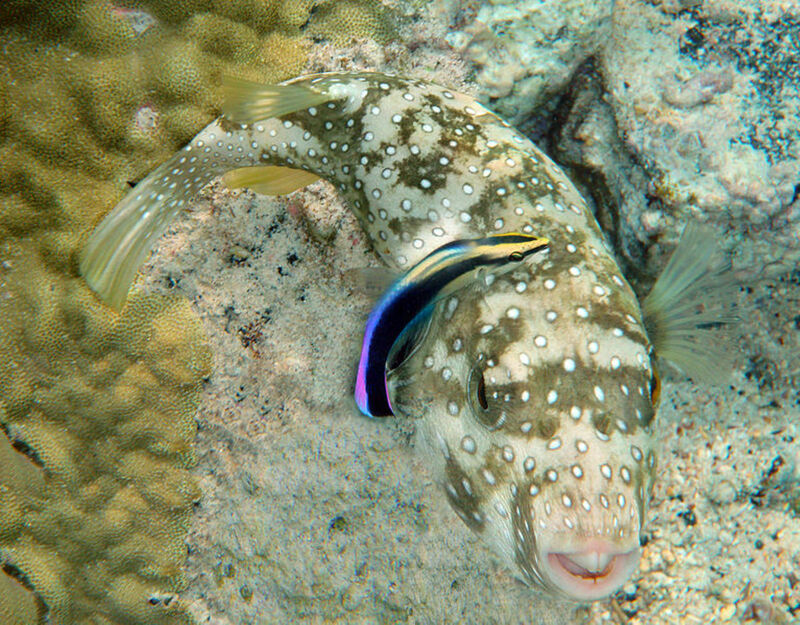 Unlike most reef fish, they are not skittish (i.e. run and hide in the coral). 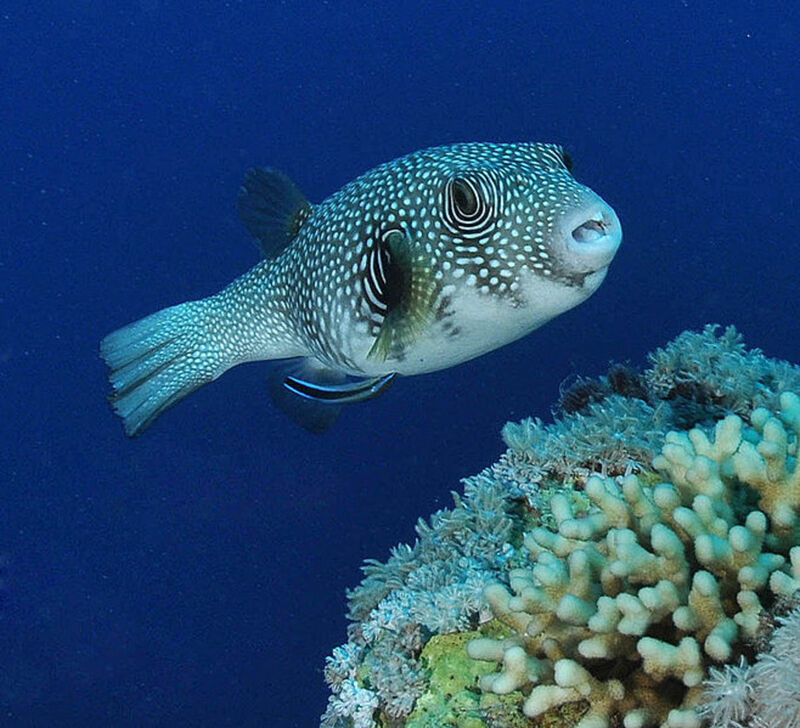 When you go snorkeling, puffer fish often follows you around like a little puppy, or swims right up to your mask and stares at you, very cute! Mel Carriere, Thanks for visiting the Puffer fish Hub. I am glad you liked it. Have a good day. I love all things natural history. Keep it up! 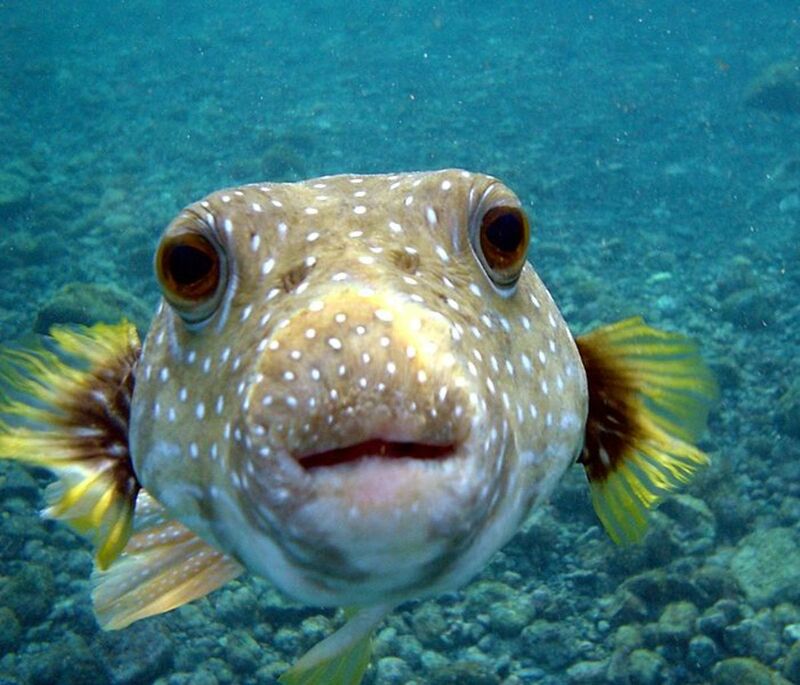 Peggy W, I am glad you liked puffer fish. 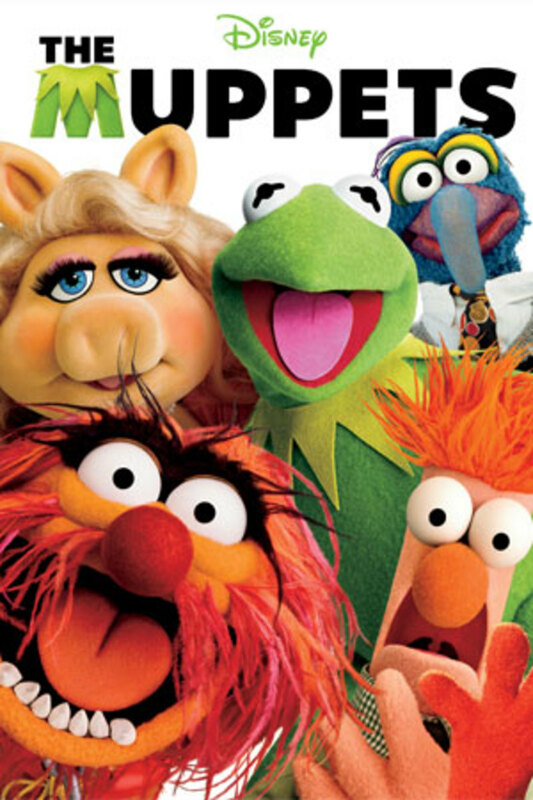 They are really unique in many respects. Thanks for sharing and voting up the Hub. Have a great day. What an interesting hub all about the puffer fish. I enjoyed each and every video. They certainly have a unique defense mechanism. Up votes, sharing and will pin. Cyndi10, I am glad you liked the Hub. Fugu sashimi is the most popular dish in Japan. Translucent slices are served after cutting it with thin blades. Its preparation is strictly controlled by law in Japan and all restaurants are not allowed to serve fugu. Takifugu rubripes is one edible species along with some others, but parts of the body for consumption are regulated by law. I had no idea there were so many kinds of puffer fish. Which are the ones that are eaten or are the all? I realize there is a certain amount of danger in eating puffer fish and the chef has to know what he or she is doing. And the idea that a fish needs dental work is amazing. Voted up and very interesting. Hi, Johnjfernando! 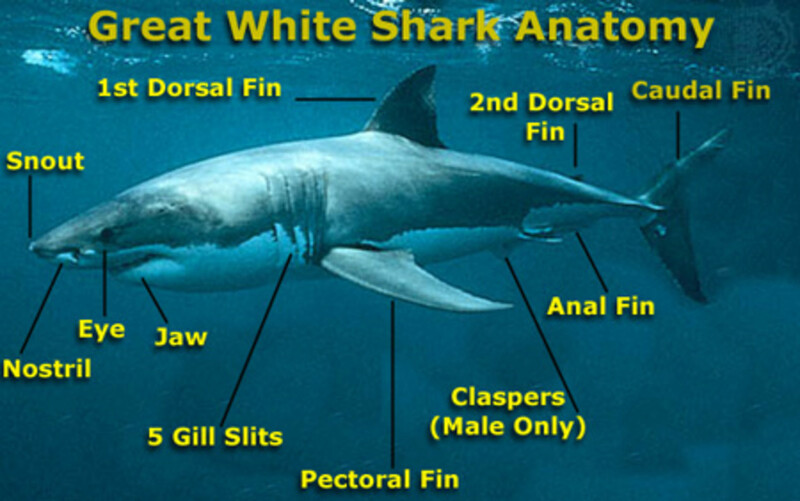 I am planning a couple of Hubs on marine life next month. I am glad you liked the Hub. Thanks for visiting and commenting. This hub is really cool. I have juvenile pirahnas at the moment along with a male betta in a separate small tank. I'm in the process of getting a puffer because its really fascinating and it grows to the size of your fist or at least five inches. I really enjoyed this hub and its provided me with some key insights and am surprised that they have teeth, but it was well explained from the paragraph where you said, 'it forms into the shape of a beak...'', probably didn't look at it with scrutiny. I still need to do some more studying and also need to consider a few stuff such as whether I should by it small or large, water temp since its tropical, and also the tank size. Last one is a given based on its size. 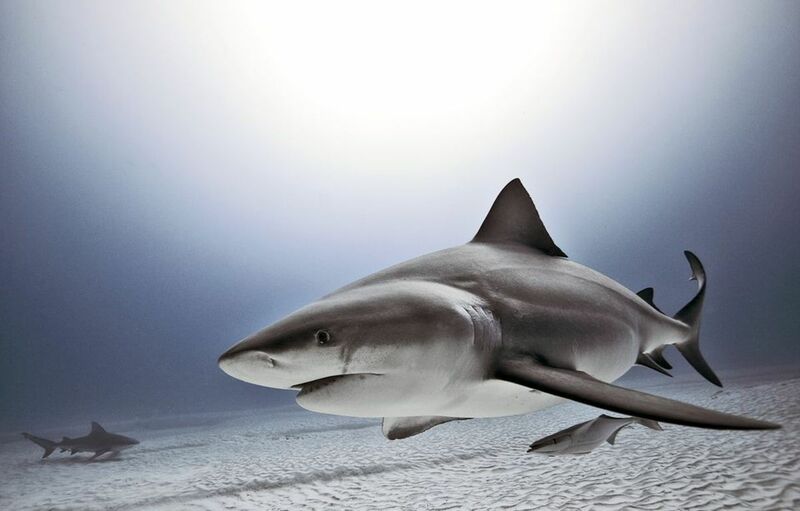 Hope you will post some more topics on marine life. I look forward to reading some more. Thanks for the hub! Awesome hub page! Thanks for all the information.